HAMILTON — The Hamilton Tiger-Cats are breaking from tradition and revealing the players on their negotiation list. The CFL club made the announcement Friday and will also provide videos exclusively to Ticats All Access members. Ticats All Access is a free program open to all fans. Each segment will reveal three players on the club's negotiation list. The first ones shown Friday were Heisman Trophy-winning quarterback Johnny Manziel, offensive lineman Jason Weaver and receiver Jay Lee. "This initiative is consistent with our mandate to find new and innovative ways to engage with our fans and provide unique content through our digital platforms," Ticats CEO Scott Mitchell said in a statement. 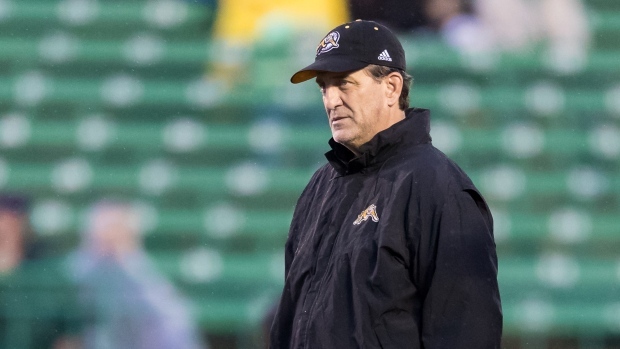 "It's a great opportunity for Tiger-Cats fans to learn more about the team’s prospect pool and potential future players." CFL teams can have up to 45 players on their negotiation list, giving the club exclusive CFL rights to them. Players can be added, removed or traded from the list at any time. All clubs have always kept the players on their negotiation list private until now.